If you haven’t watched it yet, you can watch it here. In that one, I walk you step by step $10,000 a month business model. It’s really cool stuff and the feedback as been absolutely phenomenal so far. So if you’re just starting out… That’s the best place to go. Now this video is for the peeps who’ve got a bit of traction and really wanna ramp things up. Not only will you be able to pull in $20K paydays, but you can actually do this multiple times a month too. Therefore, doubling, sometimes tripling your bottom line on a monthly basis. It’s powerful stuff, indeed, and I’m pretty sure you’ll get awesome results when you put it into action too. So that said, here’s the “$20K payday” video tutorial… Enjoy. I’m giving away a free step by step system where I walk you through the entire process on how to make $688 a day online. and not only is it free to get access… But it uses 100% free to implement too. People are lovin’ the training and I’m pretty sure you will too when you see it. In fact, one guy made over $25,000 in JUST 30 days of implementing. So you’ve got nothing to lose as it’s free and you could be making a full time income from home in just 30 days from now. 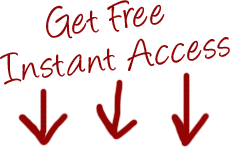 Just click the link below to get free access so you can put it into action and start profiting as soon as today! Hey Elisheva… Hope you’re okay. Regarding your question: I’ve looked into it and it appears your email has been deleted. And as result, you’re unable to subscribe. You either need to contact Get Response (my auto responder) and ask them to remove the ban on your email. 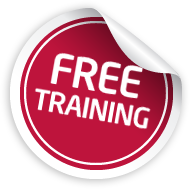 Or enter another email address to get the free course. I’d ask Get Response myself but when this has happened in the past, they’ve told me it has to come from the owner of the email address. Hope this helps anyway, Elisheva. Lets see if i can try to figure this out..
Hmm i really gotta figure this out..
Glad you’re diggin’ it, Matteo ? You can either do it live with broadcast emails, or you can automate it using auto responders like Aweber etc. But yeah, you can make a lot money what I teach in this post… Just have to put it into action, that’s all. Copyright © 2019 Craig Barmore's Internet Marketing Blog. All Rights Reserved. The Magazine Basic Theme by bavotasan.com.